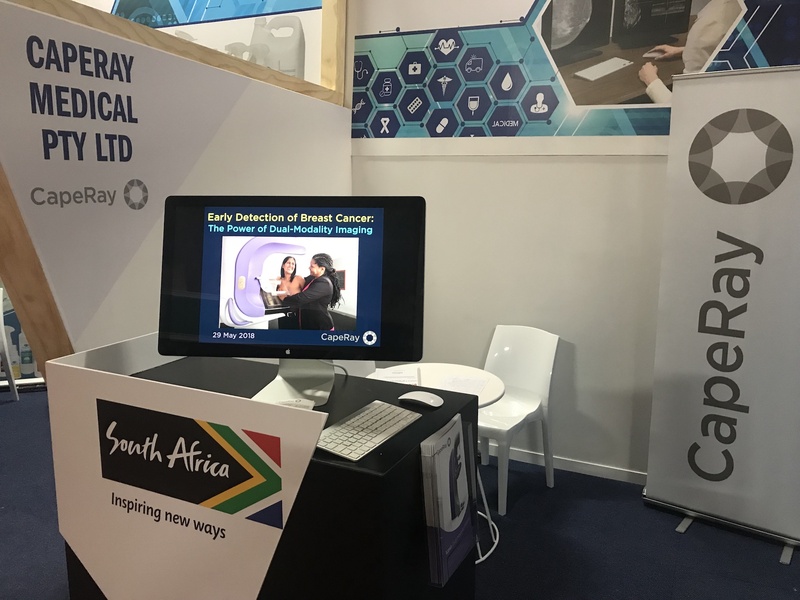 Among the exhibitors in the SA pavilion were five manufacturers from the Western Cape Medical Devices Cluster (WCMDC) – a non-profit company set up in 2016 and funded by the DTI – that supports the development of a competitive and growing medical devices sector in the region. The companies included: Sinapi Biomedical, a manufacturer of chest and urinary drainage devices; Shonaquip, that has developed novel wheelchairs and mobility equipment for individuals with severe disabilities; Medical Diagnostech, that fabricates rapid diagnostic test kits for malaria, HIV and drugs of abuse; VIVAline, a specialist manufacturer of intravenous lines for fluid delivery; and CapeRay, whose dual-modality Aceso system has been designed for early detection of breast cancer (see below left). Running in parallel with the commercial exhibition were academic conferences, covering a wide range of topics, including: quality management; medical device procurement; imaging and diagnostics; trauma; obstetrics; sterilisation; hospital build; human rights and medical law; healthcare technology lifecycle management; and biomedical engineering. During this latter conference a decision was taken by the delegates to resuscitate the Biomedical Engineering Society of South Africa (BESSA) as an affiliated society of the International Federation of Medical and Biological Engineering (IFMBE). Topics in the imaging track encompassed neuroradiology, breast, cardiac, abdominal, paediatric and obstetric imaging, attended by over 200 delegates from all over Africa, eager to learn about new developments in the field. Kit Vaughan, CEO of CapeRay, presented a paper entitled, “Novel imaging techniques to detect breast cancer: a review,” in which he described eight of the most important modalities to have emerged over the past decade. These included: digital breast tomosynthesis (DBT); automated breast ultrasound (ABUS); dual-modality imaging that combines full-field digital mammography (FFDM) and ABUS (seen right); breast computed tomography; opto-acoustic imaging; tactile sensors; diffuse optical imaging; and terahertz pulsed imaging. The general consensus of participants is that the Africa Health Exhibition has come a long way since its inception eight years ago. Let us hope that it will contribute positively to the health of those living on the African continent. Nancy Cappello`s dream come true!! 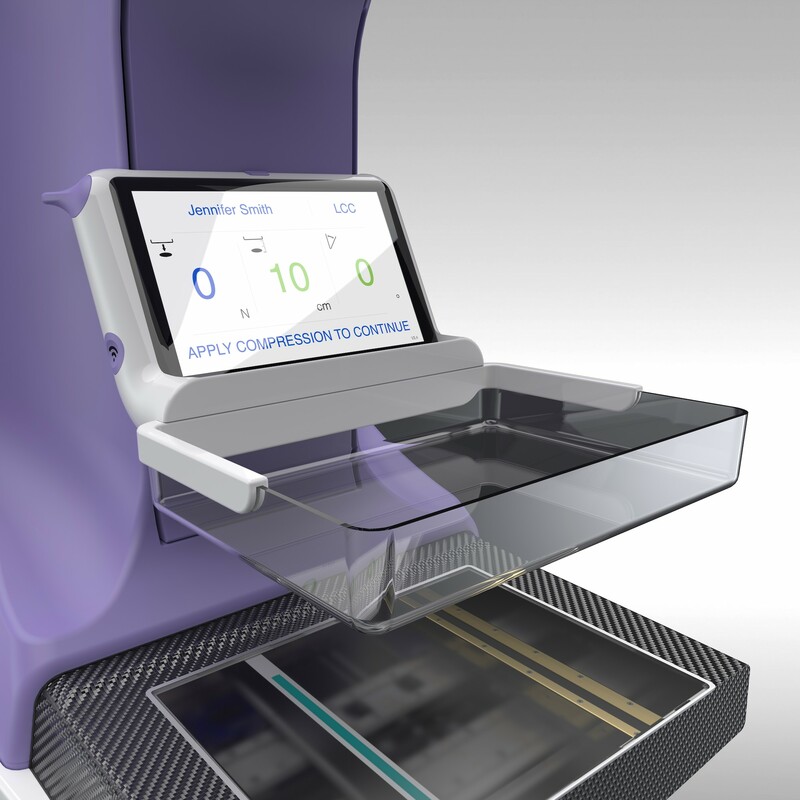 Professor Kopans invented D 3 (D B T) ,the latest cutting edge mammography machine.